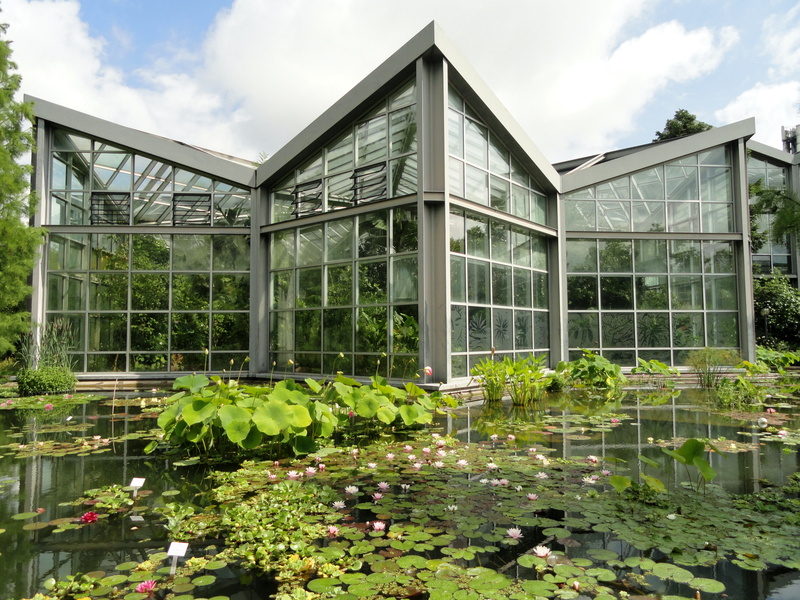 Wander through 22 hectares (54.4 acres) of lush, landscaped gardens at Frankfurt's Palmengarten. Holding the title for the largest garden of its kind in Germany, the botanical wonderland features an exotic array of plants and trees from around the world. Explore the 14-building greenhouse complex to admire rare tropical and subtropical plant species. 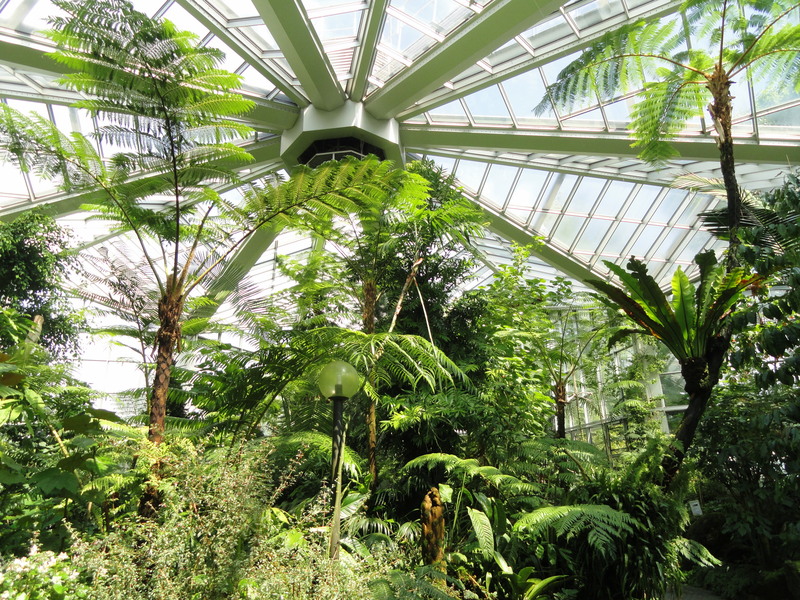 Or visit the 18 m (59 ft) tall iron palm house. It was modeled after the magnificent World's Fair palaces in London and Paris. Be sure to carry cash. Credit cards are not accepted for the entrance fee. Plan to visit Palmengarten during your Frankfurt vacation using our convenient Frankfurt online route maker . 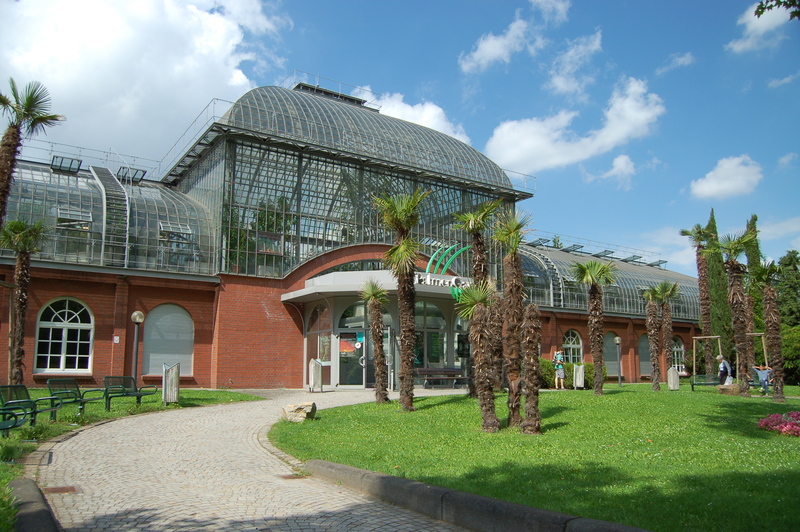 The Frankfurt Palmengarten directly located next to the "Bockenheimer Warte", railway junction is located near the city centre and is therefore easy to reach. Currently undergoing improvement works in a part of the system, thus some exhibition rooms can not besicht. Invite the different warm plants/Palmenhaen to linger in the winter. Nebel-, mountains and tropical forests offer a huge variety of vegetation with some very rare plants - one for their view otherwise would have to travel halfway around the world. Special insight offer also the regular special exhibitions. A very nice place to get some rest between beautiful plants, trees and flowers. Front entrance gives a feeling of relaxation you can expect after paying €7,- entree for adults The park is build with areas of origin and has enough space to walk for at least 3 hours. This is a must visit when travelling to Frankfurt. We couldn't find any negative point to describe only positive vibes. The best place in Frankfurt Germany! Outstanding views, smells, and colors. Great deal with the Frankfurt card... Half off the 2018 price of 7 Euros a Smoking deal but 1/2 off much better! They even have a carnivorous plant section. With insight beverage sales , great place, first place to see in Frankfurt.